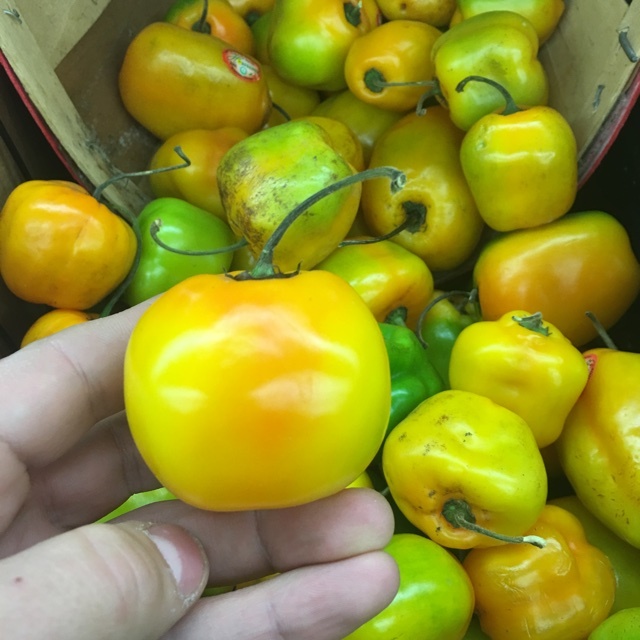 Manzana chile peppers can range from light green when immature to bright yellow, orange and red when ripe. Its heat level as well can vary from mild to hot depending upon specific variety and by maturity. While like many peppers the Manzana can be used when immature, it is most commonly utilized in its fully mature stage. Scoville units range between 10,000 and 30,000 on average. Removing the seeds and membrane of the Manzana chile pepper will reduce the peppers heat. The petite Manzana chile takes its name from its apple-like shape. Its flesh is soft offering a meaty texture. Its aroma and flavor is pungent with fruit like nuances. Manzana chiles are available most of the year, with supplies possibly shorter in the summer. The Manzana chile pepper, also known as Rocoto, Manzano and Peron is a rare type of chile pepper. In Spanish Manzana translates to mean apple, a nod to the peppers apple like shape. 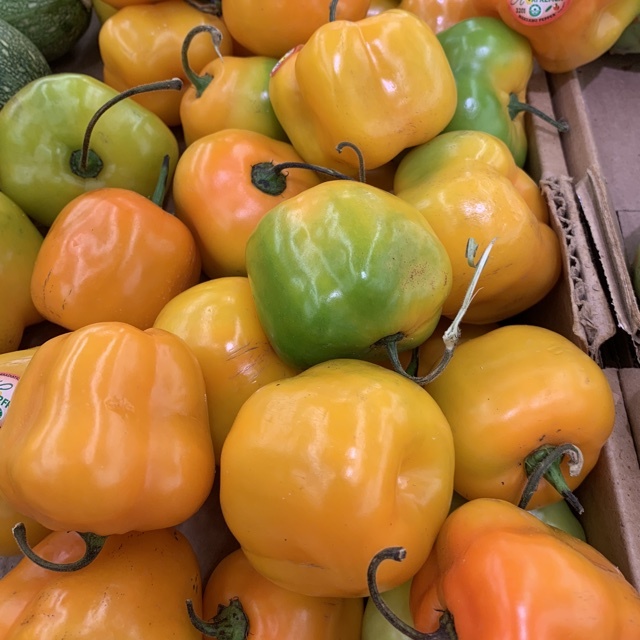 Unlike most chiles cultivated in Mexico the Manzana chile is not a part of the common botanical family of Capsicum annuum but rather a part of Capsicum pubescens a species of pepper from the Andes region. This species of peppers is unique in the fact that the leaves of the pepper plant are covered in fine hairs and the seeds of the peppers are black in color. Like many chile pepper varieties the Manzana chiles are utilized to add heat and spice to foods. Peppers can be added whole to chili, soups, sauces and carnitas. Chopped they will add flavor and spice to salsas, chutney and rajas preparations. Cook down with other peppers to make liquid hot sauce or pepper jelly. The thick meaty skin of the Manzana pepper makes them ideal for stuffed preparations such as the classic dish of chile rellenos. Their thick skin makes them unsuitable however for drying. Their spice and flavor marries well with lime, avocados, onion, oregano, tomatoes, cheese, cornmeal, sweet potatoes, fish and grilled meats. Manzana chile peppers will keep refrigerated for up to two weeks. The Manzana pepper dates back to the ancient civilizations of the Andes mountain region of Chile and Argentina. Colonial historian’s note it was at that time known as Rocoto pepper. In addition to ancient texts that describe the peppers what is believed to be images of the Manzana pepper can be found on prehistoric pottery and tapestries found in the Andes region. The Manzana chile thrives in the 6,000 – 10,000-foot altitude level. At lower levels the pepper will produce some fruits but very few with seeds, at higher levels the temperature is too low for plants to be successful. In addition to the Andes region today the pepper is grown in high elevation parts of Mexico such as Guerrero, Queretaro and Chiapas. On average Manzana pepper plants can be maintained as a perennial for four to five years with older plants offering a higher yield of peppers. Recipes that include Manzana Chile Peppers. One is easiest, three is harder. 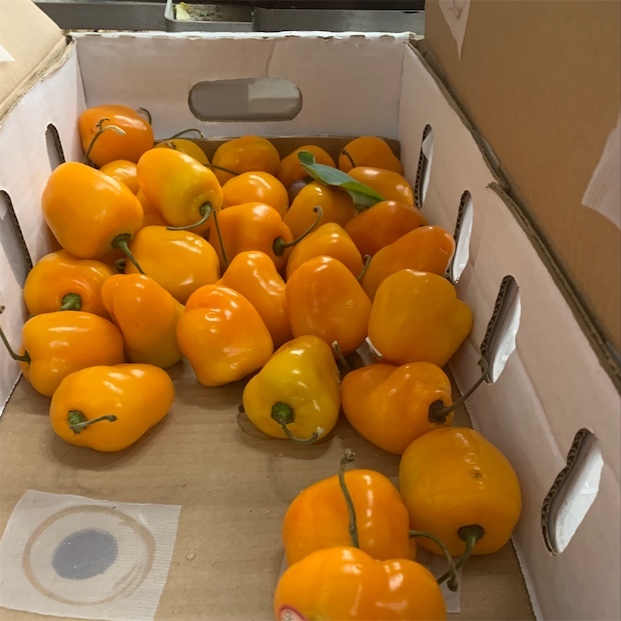 People have shared Manzana Chile Peppers using the Specialty Produce app for iPhone and Android. Sharer's comments : Fresh Manzana peppers! Sharer's comments : Manzana Chile Peppers spotted at Fresco y Más. Sharer's comments : I spotted Red Manzana Chile Peppers at bakers acres speciality produce ! Sharer's comments : Manzana Chile Peppers spotted at Woodmans Grocery Store Eau Claire WI. 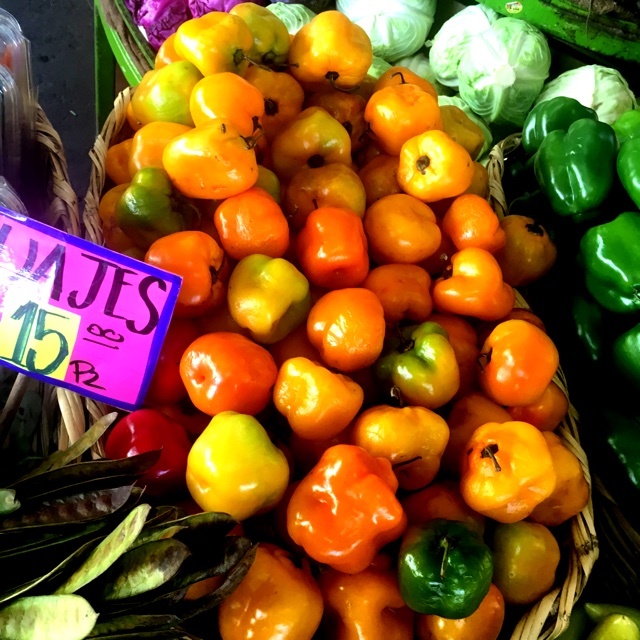 Sharer's comments : Manzana Chile Peppers spotted at Mercado Hidalgo.